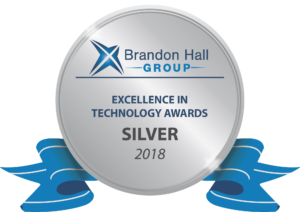 CrossKnowledge wins one gold and three silver awards in four categories at the 2018 Brandon Hall Group Excellence in Technology Awards. The Brandon Hall Group Excellence Awards Program is the most prestigious awards program in the industry. The program was one of the first of its kind in the learning industry, which was pioneered in 1994. CrossKnowledge’s acclaimed Learning Suite was awarded the gold in the Unique Learning Technology category for its innovative nature, and ability to integrate exclusive learning formats. The full SAAS and cloud-based platform allows companies to maximize their use of CrossKnowledge online e-learning solutions; resulting in stronger ROI and learning efficiency. CrossKnowledge won the Silver award for its unique and proven approach to Social Learning into the Learning Platform. Blendedˣ, a new blended learning approach that is meaningful and puts the focus on developing competency. Integrated gamification and sharing among learners are at the heart of this approach in order to strengthen learner adoption and engagement which made the difference. Launched in May 2017, during the annual NEXT conference, the CrossKnowledge My Learning app took home the silver award. My Learning is setting new standards in the Mobile Learning Technology space. The My Learning app gives learners the option to complete entire training courses on their mobile, both online and offline, and across all devices. Blendedˣ was also awarded with a Silver medal for the Best Advance in Emerging Learning Technology category. Blendedˣ learning experience is both user-friendly and fun. Learners are motivated and encouraged to co-develop their professional skills using this natively multimodal learning innovation, which adopts the best practices of the 70/20/10 pedagogical model. Brandon Hall Group has an extensive repository of thought leadership, research and expertise in Learning and Development, Talent Management, Leadership Development, Talent Acquisition and Human Resources. At the core of our offerings is a Membership Program that Empowers Excellence Through Content, Collaboration and Community. 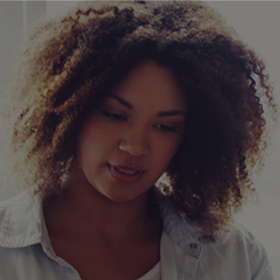 BHG members have access to research that helps them make the right decisions about people, processes, and systems, combined with research-powered advisory services customized to their needs (www.brandonhall.com).